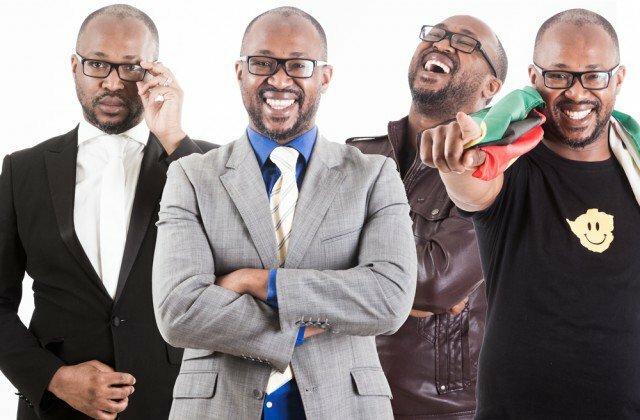 COMEDIAN Carl Joshua Ncube abruptly brought the Bulawayo arts scene down from the high of hosting the recently held Bulawayo Arts Awards when he suggested that there was a clique of arts practitioners that were holding the city's arts scene to ransom. Ncube, speaking in a Facebook discussion interview with Iyasa founder Nkululeko Dube, said that there were eight people that acted as if they were mafia dons, creating the impression that the Bulawayo arts scene was their private playground. "There're eight people who have a tendency of making every event, like if there's someone outside of Bulawayo who wants to do something, they make it seem as if it's a bad thing. Those people need to be stopped. If they can be removed then they need to be taken out," the outspoken comedian said during his tirade. The Bulawayo Mafia, as alleged by Ncube, is not a new phenomenon. In the past, young artistes have bemoaned the fact that doors in the industry were closed in their faces by experienced hands that did not want to relinquish the reigns. The rumblings of discontent finally erupted last year when city arts blog, Urban Culxure published a list in with five names they claimed controlled the arts scene. With Ncube claiming that they are eight, it is not clear who is not in this cabal, with Raisedon Baya, Nkululeko Nkala, Nkululeko Dube, William Nyandoro and Saimon Mambazo Phiri some of the names thrown around whenever talk of a mafia resurfaces. These figures, it was suggested, were responsible for many art project failures due to their ability to channel access to donor funding to their own projects. With their years of experience in the industry, they had multiple interests that made sure that when a big gig rolled into town, one of them would, for example, be contracted to handle the catering while another took care of the sound at a venue. They also had the ear of those in high offices so anyone wanting audience with important people would have to go through them. The winds of winter seems to have blown up those rumours again, with some arts practitioners piling up behind Ncube and suggesting that they were mere puppets dancing to the tune of these masters who tugged at their strings at will. "Do your research and you'll find that they're people who call the shots," said Urban Culxure's Kudakwashe Takundwa in a past interview. This was in the aftermath of the Kalawa Homecoming saga which saw Nkala arrested allegedly arrested at the behest of veteran radio personality Ezra Tshisa Sibanda. "There're people who call shots. There was a recent saga involving one of the mafia. On his arrest, someone bigger said let that guy rot in prison. And he is telling the police. When asked if Nkala's accuser was part of the mafia, Takundwa said: "He's not actively involved everyday but he controls stuff. So he has the guts to say to a whole police station, 'arrest that boy and cut off his locks.' We have a mafia, we can't run away from that. They're people controlling the arts and they're quietly doing that." However, one of those whose names have been included in various Mafia lists, veteran arts practitioner Raisedon Baya has refuted allegations that they had their hands over the mouths of artistes that were desperate to have their voices heard. "Of all the people named in those lists, none of them have the resources to stop anyone. The people called mafia don't have venues, they don't own spaces of their own, they don't own studios and they don't own any publishing companies. So how can you stop anyone without resources? "I would like people to come out and say the mafia stopped me from doing this and that. We're just in an environment in which resources are limited and so if they see someone else doing something successfully they feel like that person has access to certain funds when that isn't the case. For example, all my recent plays have been self-funded," he said. According to arts administrator and musician Admire Kudita, using the word mafia was inappropriate, as some of the people named were only brought together by the years spent working together. Mafia is too strong a word. These people are generational counterparts that have worked together for years and so are bound to walk the same path. As for the deliberate exclusion of other people I don't think there's any truth to that. "There are one or two individuals who want to portray themselves as power brokers but you're bound to find that in any industry," he said. With their stellar track records and the success of the RBAAs, organised by alleged mafia members, it is hard to argue that their efforts have not benefited the Bulawayo arts scene. That fact however, is unlikely to silence the growling stomachs of many young artistes that feel that they are being denied their chance to eat. "When a particular group of people run festivals, record labels, arts columns, theatre companies and award ceremonies they are more than likely to control the arts and mafia is not a far-fetched term," said award winning writer and actor Philani Nyoni.